Inotropic drugs are medications that alter the force or energy of muscular contractions. Positive inotropes increase the force of contraction of the heart muscle enabling it to work more efficiently and pump more oxygen and nutrients to every part of the body. Along with other medications, inotropes are used to reduce symptoms of Chronic Heart Failure (CHF) such as shortness of breath, quick exhaustion and poor circulation manifested by cool extremities and blue fingers and toes. 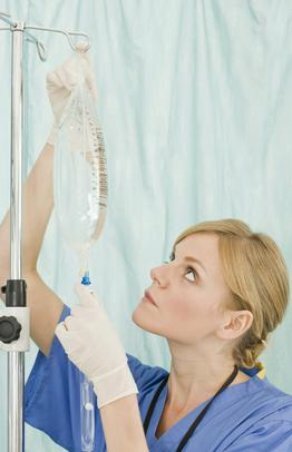 Home administration of inotrope requires close collaboration of the patient’s physician, pharmacist and home infusion nurse. The pharmacy will ensure that the patient has the appropriate dosage of the drug and a back-up bag at home. A back-up pump will also be provided and malfunctioning pumps will be replaced immediately. The pharmacy will monitor by phone the patient’s status between nursing visits so that deterioration can be caught right away.